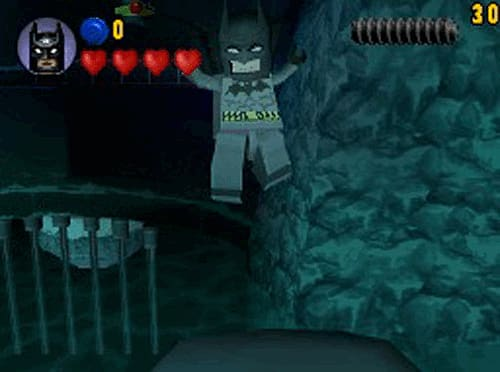 LEGO Batman: The Videogame for DS is the latest game from the award-winning team behind the LEGO Star Wars and LEGO Indiana Jones games. 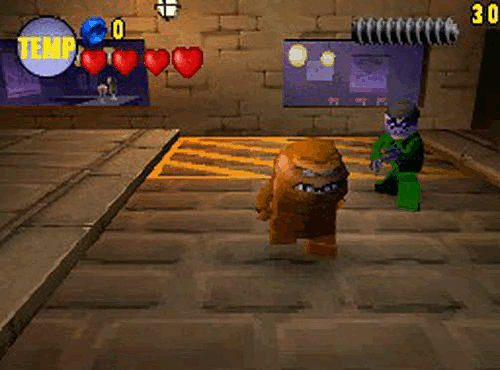 LEGO Batman: The Videogame for DS is the latest game from the award-winning team behind the LEGO Star Wars and LEGO Indiana Jones games. With trademark LEGO fun and charm, LEGO Batman: The Videogame for DS takes you into the world of the ultimate crime-fighting hero. LEGO Batman: The Videogame for DS brings the one-and-only Caped Crusader to life in a completely original storyline. In LEGO Batman: The Videogame for DS, players will take control of the Dynamic Duo, Batman and Robin, to fight Gotham City’s most notorious criminals including The Joker, The Penguin, Catwoman, Scarecrow, Killer Croc and many more. The criminals have broken out of Arkham Asylum and are set to wreak havoc on the city. Players will also be able to explore their wicked side in LEGO Batman: The Videogame for DS and fight their way through the game as the villains, experiencing the game from a completely different point of view with all-new criminal objectives! With a collection of high-tech suits, gadgets and cutting-edge vehicles on hand, players will be able to step into the unique LEGO Batman universe on DS to bring super villains to justice - or, as the villains, to run amok in Gotham City! Fight for justice: LEGO Batman: The Videogame for DS sees players control Batman and Robin or create chaos as The Joker, Catwoman and other villains, as you save or destroy Gotham City. Rocket through sewers and bound across rooftops: Take the fight to the criminals across classic locations in Gotham City in LEGO Batman: The Videogame for DS!. 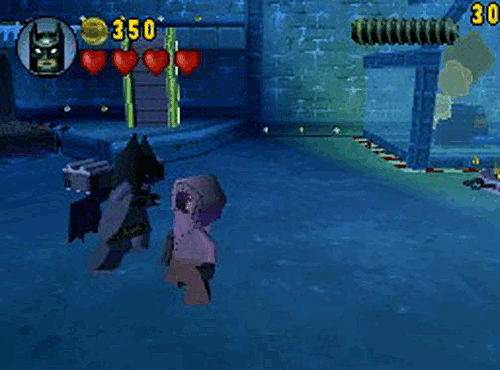 Fight on land, sea and in the air: LEGO Batman: The Videogame for DS features a number of powerful Batman, Robin and villain-controlled vehicles, including the rocket-powered Batmobile, sleek Batboat and stealthy Batwing. Enhance the abilities of the Dynamic Duo: LEGO Batman: The Videogame for DS boasts new power suits, including the Magnetic Suit. Play from two perspectives: Experience LEGO Batman: The Videogame for DS through the Story Mode from both the hero and villain sides. Replay any level in Freeplay Mode: Use any characters you’ve unlocked. Access previously hidden areas in LEGO Batman: The Videogame for DS to find additional rewards and bonus content. Collect LEGO studs and special LEGO bricks: In LEGO Batman: The Videogame for DS this unlocks tons of extra content, including special power-ups and bonus levels. Touch to play: LEGO Batman: The Videogame for DS will offer touch screen interaction, and two-player co-op using the DS local wireless network capability. Cinematic aural experience: LEGO Batman: The Videogame for DS also features Danny Elfman’s iconic The Batman (1989) musical score.